This aint no chicken of the sea! Many people stear clear of tuna because its the “smelly” fish. Little do they know the health benefits.. dont like the taste? Here’s my recipe to make easy, delicious tuna salad that will DEFINITLY inspire you to eat more fish! Mix all together in a bowl, making sure to chunk the tuna into pieces. I use a fork because it gives you decent sized pieces without grinding it up. Add the cavanders to your liking and voila! I like to chop cherry tomatos and put on top because it gives it a nice contrast. 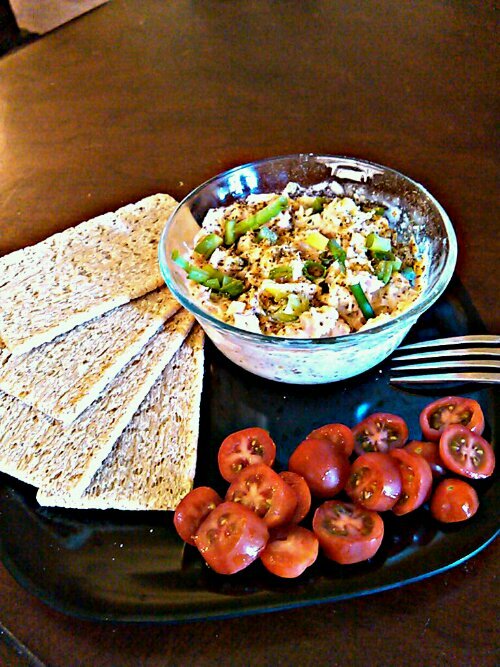 I also use the Wasa crackers instead of bread.. 70 calories, 3 per serving. A very low calorie meal! 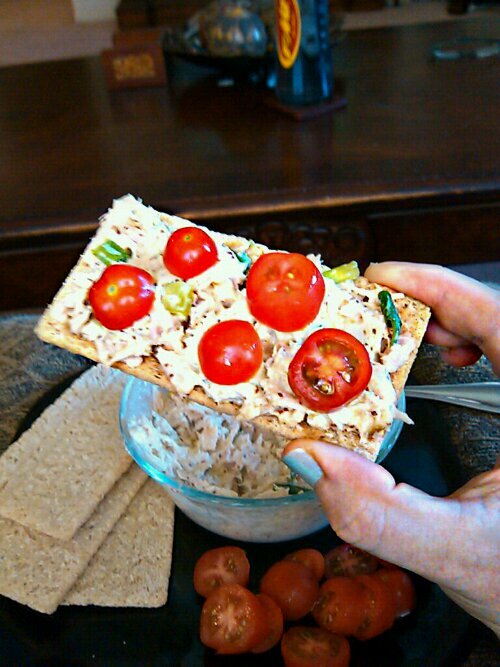 This combination will give you the taste of a chicken salad, with the benefits of the fish. I just don`t like poorly canned tuna, as the cheap stuff retains a bit of the can`s metal flavor. Who wants to eat something that tastes like metal? Unfortunately, most people have never tried decently canned or fresh tuna, so they stay prejudice with little exposure. It`s pretty sad, actually. Honey mustard is always a good choice too. Basically, anything but eating it plain out of the can. Because that won`t taste good! MMM…. This looks delish!!! Good job Chloe! Thanks girly! Btw, love your blog!